It is often only once people start to have problems with their eyesight that they realise how important it is to look after their eyes. Without good eyesight so much is lost and it is a relief to know that there are clinics that will be able to treat them and that the treatments are improving all the time. With Optegra eye surgery most patients will be out and about in a couple of days and feel as if they have not had treatment in a couple of weeks. For some procedures it will even be possible to be back playing rugby or other energetic activities after a few months as long as the consultants agree. 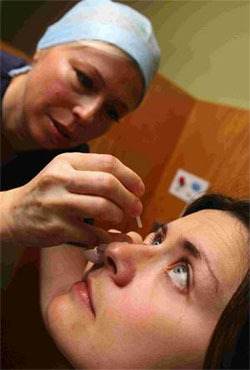 Optegra eye surgery clinics provide the widest range of surgery provided by any clinic in the United Kingdom. All procedures will be different and each patient who suffers from a condition will need to have the treatment tailored to them. The surgeons who work in the Optegra eye surgery will often have 20 years experience in eye surgery and the treatment will not stop once the operation has taken place. The aftercare is second to none and it will soon make patients realise they made the right decision when they chose the Optegra clinic. Vitrectomy Treatment: costs from £2,730 per eye – here the vitreous are treated and the procedure means that there will no longer be floaters in front of the eyes. Intra Ocular Lens for Visually Impaired People: ranges from £6000 per eye – again this is a treatment for cataracts and the intra ocular lens is implanted in place of the crystalline lens. YAG Laser- yttrium aluminium garnetwill be £550 per eye – this is the most common form of laser treatment available. Selective Laser Trabeculectomy costs £650 and is used to treat glaucoma which is a condition that will lead to the eyesight deteriorating and eventually the patient will go blind. Catching this early will give a better chance of a full recovery and also will mean that family members should be checked out. There are a number of different places you can go to have Optegra eye surgery. There are clinics in Birmingham, Guildford,Hampshire, Manchester and Yorkshire so most people in England will be within a couple of hours drive away from one. It is comforting to know that as well as working in the Optegra eye surgery clinics the surgeons and consultants often have positions as advisers and lecturers. Here they will be able to keep up to date with the latest technology and procedures meaning they can bring the new things they have learned into the clinic.